As a bride to be, I have relentlessly been on the hunt for the right class/fitness concept/studio that offers me everything on one plate. Toning, tightening, strengthening and above all somewhere I can go that doesn’t fill my stomach with dread (insert running on the treadmill emoji x sick face). So, when I was presented with the opportunity to join the 8-week challenge at F45 Oxford Circus, I was delighted. Okay, that is a lie. In my mind, I had conjured up this idea that F45 was for those mega-beast trainers and energy bunnies that could do back to back classes and not break a sweat. And neither of these is me. But… with a goal in mind and my fierce competitive drive, I decided to burpee into the deep end. Now writing this with the eight-week challenge done and dusted, I can not only feel the results but I have the numbers to prove them (the F45 Oxford Circus team measure you pre, mid and post challenge to monitor your changes). The outcome was enough to sign me up then and there for their rolling membership, and I have to say, I am looking forward to the upcoming 8-week challenge ahead (24th of April 2019). Keep reading below to see my week by week experience of how I got on. FIRST UP – What is the F45 eight-week challenge? F45 is the Australian training class that has taken London by storm. The workouts are fast, fun and hit every spot in under 45 minutes. Using circuit and HIIT techniques, the trainers at F45 gyms run an alternating schedule of cardio and strength-and-resistance-based classes that never feel the same! The eight-week challenge, takes these classes (they advise fitting in as many classes as possible) alongside a dietary plan and promises to deliver revolutionary results. 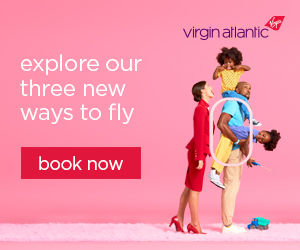 Split into three phases to support your body as it develops and changes, the food programme is filled with a variety of menu options (vegans rejoice there is an option for you too!) that are readily available on a handy app and online portal. As I descend the steps down into F45 Oxford Circus for my weigh-in and first class, I feel incredibly tense. I have been stalking F45OC on Instagram and I am sure I won’t survive my first class, yet alone the eight-week challenge. Yet as I arrive I am welcomed by the energetic team and two co-founders of F45OC Tristan and Haydn that bring my tension levels down a knot. They are all smiles, jokes and hi-fives, plus it helps that they look like they have both stepped off Bondi beach. As I get my body weight, fat ratios and muscle mass measured, I chat to the Batman and Robin duo about what it was that made them want to get into the F45 scene. Having been friends since they were 14, the two partnered up in 2018 to open up F45 Oxford Circus (F45OC). Haydn admits that his inspiration for the project came from “falling out of love with fitness”. Having been a PT for a number of years, he craved more than just the one on one teaching where he often felt that he gave more then he got. After experiencing his first F45 session (and signing up then and there for a membership), it was a no brainer, “I fell in love with the concept, the program and the community. The vibe was second to none and I had never experienced anything like it, it was completely infectious”. 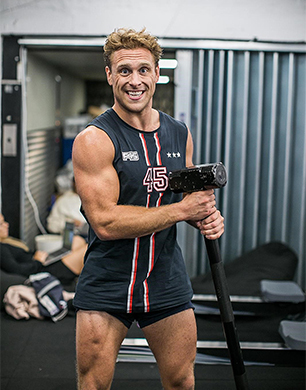 Tristan, coming from a financial background and having experienced group fitness through cross training, jumped on the notion of opening up an effective fitness concept that appeals to everyone, “we’re not going for the sexiest Instagram shot or the strongest athletes, we have members that include mums, dads, 65-year olds completing 45 minute circuits and having fun”. Who can argue with that? My first class is by far the hardest of the whole eight weeks. The classes are designed in pods that you move between throughout the class, which is far too much for my brain to get used to in 45 minutes. Spotting a deer in headlights, another F45er befriends me and shows me the ropes. And I have to say, right from the beginning this is one of my favourite things about F45OC. Everyone is in it together, helping each other out, chatting away about their weekends and meal plans. It is very much more than just a training session, it is a community of likeminded members. The first two weeks I manage to average 3 sessions a week, which I am proud of. This first phase is called Spring Training and brings your diet right back to the basics in order to promote fat burning and reduce sugar dependence. There is a focus on swapping out high sugar foods (including natural sources), red meat and gluten for fibre rich veggies, naturally gluten free grains, lean white meat and fish. This part is fairly simple and with the guidance of the app which provides shopping lists and recipes, this is not so difficult. The no caffeine/no alcohol rule was a bit of a situation. Even as a self-proclaimed health fanatic, this I struggled with. So, after a bit of a wobble, I decided that cutting back was a more feasible approach, but for many of my F45er comrades, they went cold turkey and reaped the benefits! One member I met in the bathroom told me she is even sleeping better and has seen her skin health improve… it’s tempting, but so is a glass of Malbec. Weeks three to six are titled the ‘Regular Season’ and concentrate on building muscle mass through a high-protein diet which aids healthy fat loss and muscle repair. With this, red meat is re-introduced, as is cheese and some gluten grains – hurrah avocado on toast is back on the menu … kind of. As I move into week four, I begin to notice that I am not as strict as I was in the first few weeks, but I keep up the daily habits and my diet still follows the macronutrient focus – protein/fat/carb ratios and lots of veggies. But there is the occasional moment where I need a chocolate brownie, immediately, and no diet or challenge will stop me. But knowing I can jump right back in to the routine, keeps me motivated. In terms of my training and fitness, this is when I start to see a real shift. I have noticed that my arms are getting that definition I have always strived for and my glutes are on fire (quite literally in every class). One thing I have really started to notice, which comes as a welcome surprise, is I have increased my flexibility. During my weekly (supplementary at home) Pilates classes, I notice I can reach my toes and I can bend in directions I didn’t think were humanly possible. What I am loving is the fact that no class feels the same. Even though there are different class types like 3-Peat, Wingman or Foxtrot, if you asked me when I was in the class or what one it was I wouldn’t be able to tell you. Every single session feels different since there are so many potential combinations of exercises, no one class is the same. The only thing I know is that on Monday, Wednesday and Friday, is it cardio focused and on Tuesday and Thursday it is all about strength. And my favourite – on Saturdays they have a DJ who takes hip-hop requests. I am SOLD. I am still managing to average three classes a week (I am not local on the weekends, so every other weekend, I do fit in a run/spin session). At the end of week four there is a weigh in, however because of work commitments, I don’t manage to make it in the mornings to check in (this is the optimal time to check). But regardless, I can feel in my body that everything is tightening and toning, and that is what was most important to me. I go on annual leave for a week and it’s tough. I don’t exercise, I drink alcohol instead of hot water and lemon and I let my hair down. And it felt amazing to do so. Although the challenge is a commitment and to get the results you need to follow it, there is also that great feeling knowing that when I get back home, I have something to push me back into a routine. Week six means there are only two weeks to go so I push a little harder than usual, hitting an average of four classes. I actually look forward to my end of the day classes and getting to know the team and the regulars in my class pushes me when I am feeling a bit low. My favourite of the week is Brixton – a boxing-based workout that comes at just the right time. A day filled with frustrations means I welcome the bag and punch out all my anger. It’s better than therapy. The final two weeks of the challenge are all guns blazing. Motivational group F45 whatsapps from Haydn and Tristan push me to book in as many classes as I can fit into my schedule and the diet seems to be easier (perhaps it is because the carb-heaven end is in sight?). The final phase of the diet, the World Series, is a semi-ketogenic type diet that focuses on high fat, high protein and low carbohydrate. I dedicate meal prep to both Sundays and try to plan my social arrangements for restaurants I know will fit the bill. It isn’t always easy, especially liking my snacks, and I do find that peanut butter is my life saver. During these final weeks, I notice I am reaching for the heavier sets of weights with more ease, and that my squats are full proof. Burpees don’t phase me and I feel a lot less jiggle when I star jump. It’s the result I wanted, but I notice now I have seen the light, I want more. As the challenge comes to an end, there is a real sense of friendship that has formed between all of the F45’ers and attending the sessions feels like part of my routine. The challenge finishes with a social arranged by the team, where alcohol, caffeine, red-meat and carbs are allowed! Everyone is out of their gym kit and instead of sweat droplets there are “Craig David shots” (don’t ask me what this is but it tasted good!) and burgers. They also announce the winners of the F45 challenge who win a month’s membership a pamper day at the luxurious Akshaka Wellbeing Spa. I may have not made the cut, but my competitive drive has got me ready to compete for the crown in the next upcoming challenge. Watch this space. As a bride to be, I achieved exactly what I wanted plus muscles more. I hear from another bride who joined F45OC to achieve her pre-wedding goals and she shares that she genuinely gets withdrawal symptoms from not having gone for a few days. And unashamedly, I feel the same. The next week I pop in to get my final measurements with a little trepidation. Since the end of the challenge, I have dropped down on my exercise and I notice I am feeling less energised and inspired. My results show increased muscle mass and decreased body fat mass – tick box results for me. My goal with the F45 challenge was not just physical, I wanted to boost my energy and my confidence. The numbers are just a measurement of physical changes, but the psychological impact is worth much more to me. I remember back to when I started the challenge and asked Haydn and Tristan what makes F45 so popular, and among many other points including the sense of community, diversity and results they both proclaim that “F45 is for anyone and everyone. It is infectious, effective, sustainable and above all, it is bloody good fun!”. And I couldn’t agree more. The addiction is 100% real and now having signed up to their rolling membership, I am confident that there will be no turning back.